Older generations of Greek cooks would fix this recipe using a mortar and pestle to first make a paste with the garlic and salt, and then add the other ingredients to create the purée texture desired. Today, most cooks often use a food processor or hand mixer which makes things a lot easier and takes a lot less time! Skordalia (also spelled skorthalia; in Greek: σκορδαλιά pronounced skor-thal-YAH) can also be made with bread, but the potato version is more versatile since it can double as garlic mashed potatoes. Serve this sauce with a wide variety of foods, such as fried cod, hamburgers, green vegetables, and beets. You can also enjoy it simply as a dip with bread. Add the salt to a large pot of water. Peel the potatoes and boil in the salted water until well done and are easily pierced with a fork. Place in a colander to drain. Return the potatoes to the pot and sprinkle with pepper and mash to combine. 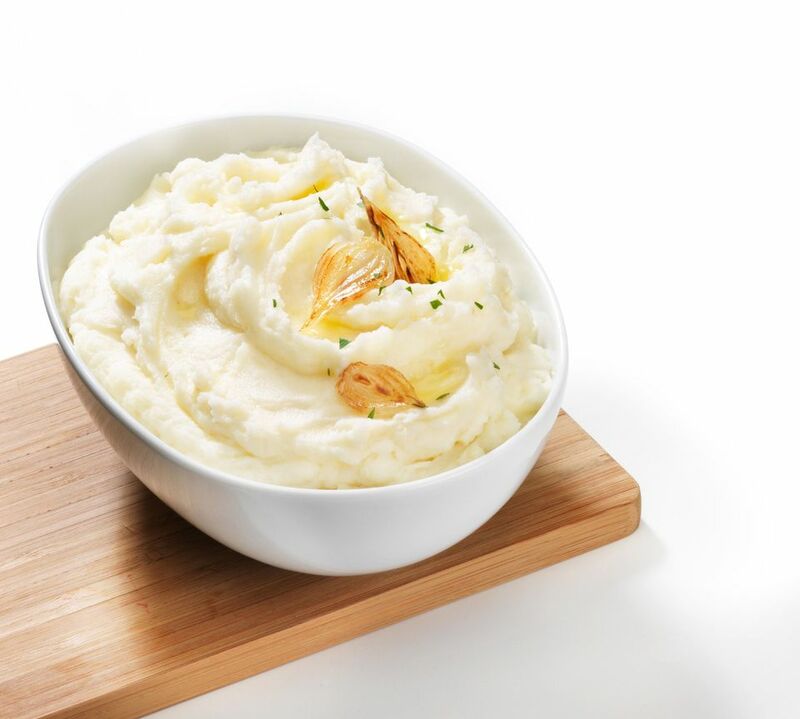 In the blender bowl of a food processor (or with a hand mixer), purée the potatoes and garlic until well mixed, about 30 to 45 seconds. Still puréeing, slowly add the olive oil and vinegar, alternating between them, tasting as you go, until the mixture is smooth. Skorthalia should be creamy and thick. If it gets too thick, add a little cold water (but not more than 1/4 cup). Skordalia is a matter of taste, some prefer a mild garlic taste, while others prefer a strong garlic taste. If the taste is too strong, increase the number of potatoes a bit. If the taste is not strong enough, increase the garlic. Mash potatoes with garlic using a potato masher. Drizzle in the olive oil and vinegar slowly, alternating between them, mashing well. Add pepper. This version may be grainier, but the taste is wonderful! In various regions of Greece, walnuts or almonds are added. If you like, add a cup of finely chopped walnuts or almonds to the food processor at the beginning with the potatoes, and add the juice of a lemon to the liquids. The consistency will still be similar to thick ketchup but granular due to the nuts.